Please be careful. You can be having a great time with fluoride and be doing things to your patients' teeth that you won't see until the child is about 10 years old. 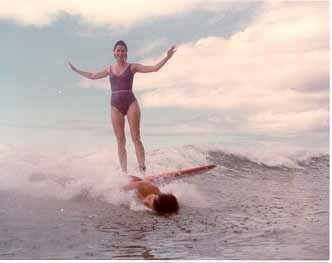 Here are two old friends learning to surf. Cheney is running over Kevin. He lived.